Background: Network on Chip (NoC) is a communication mechanism to provide scalable, modular, robust and high-performance communication for the on-chip network. Switching Techniques: NoC brings the concept of packet switching from data to on-chip networks. The nodes are connected through point to point links using regular and irregular topologies. The packet traverses along these nodes to reach the destination using routing algorithm. Conclusion: In this paper, NoC architectures are reviewed using different parameters, detail information is also provided for these parameters. The NoC architectures reviewed are proposed and implemented in last more than a decade. 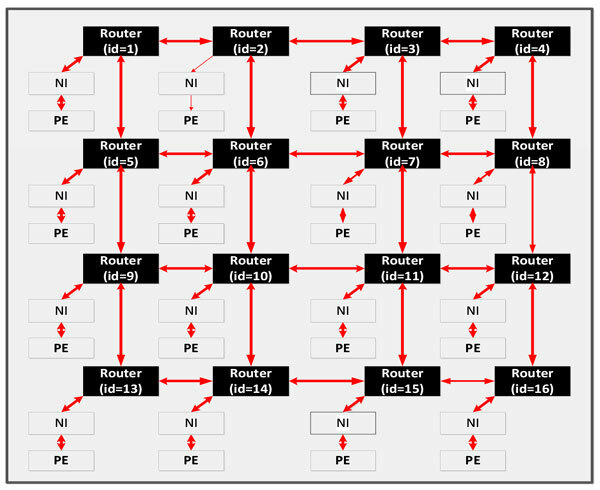 Network on Chip (NoC), link sharing, quality of service (QoS), fault-tolerant routing algorithms, switching techniques, buffer management.